Do you ever look back and wonder how you made it to this point? I sure do. I come from a family of teachers, entrepreneurs, and addicts. As an only child raised by a workaholic single mom, I often had to fend for myself. By my seventh birthday, I did everything from getting to the school bus on time to putting myself to bed at night, while my mother was at her third job of the day. I shoveled down frozen dinners and swallowed my loneliness as I followed in the footsteps of my family’s food addiction and poor health. I watched my mother and her parents obsess about the latest fad diet—even as they grew morbidly obese—and something inside me knew there had to be a better way. I spent my late teens and 20s devouring books on healthy eating, compassion, spirituality, and natural healing. I found a way to make peace with food by cultivating a healthy relationship with it. I dove so deep into food that for two decades my singular career focus was as a chef, creating healthy, delectable plant-based comfort foods and sweets. I started the first online vegan bakery and confectionary, Allison's Gourmet, wrote an award-winning magazine column, and went on to create my first e-cookbook, Comfortably Yum. Sadly, even with all of this knowledge and success, I couldn't save my mother. At the young age of 59, she died of a heart attack. I was 20 weeks pregnant, and she never got to meet her granddaughter. I was left feeling alone, lost, and confused, just in time for the arrival of my greatest teacher: my daughter. Truth be told, I was a perfect mother—right up until the moment I went into labor. That’s when my life unraveled. I had a beautiful baby girl and no idea what I was doing. There was no map, nor were there directions for the kind of mother I wanted to be. Choosing conscious parenting humbled me in a way I never imagined. And though it’s been the most arduous leg of my journey so far, it’s also been the most worthwhile. I traded in my baggage for tools that transformed me into The Maven of Mmmm... I began to nourish myself by eating plant-based whole foods. 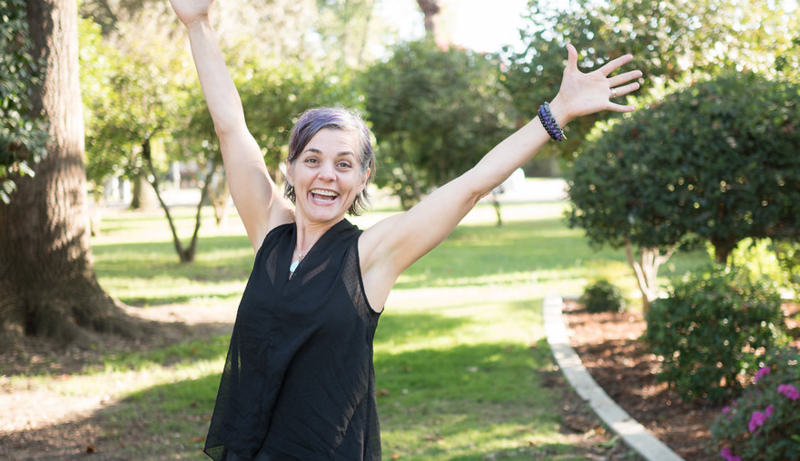 I learned to love my body through the Joy of Movement in my Nia practice. By sitting in daily meditation and exercising mindfulness, I discovered how to distinguish my inner voice from the outer noise. By talking kindly to myself, practicing forgiveness, saying no to outside agendas, and saying yes to me, I created space to nurture my heart, mind, and soul. Participating in women's groups showed me that I'm not uniquely broken and in need of fixing. In fact, my struggles are completely normal. I’ve learned that there are more ways to be fed than just with food. When I nurture myself with loving self-care, I’m able to share my very best self with others. And you can, too. What would your life look like if you made loving yourself a priority and stepped into your power? Take my hand, and let’s find the path that’s right for you. in prioritizing loving yourself to create your most delicious life! Passionate about living a delicious life in all realms, Allison Rivers Samson, the Maven of Mmmm... shares the joys of eating well, living well, and being well, along with the soul-nurturing recipes to get there. 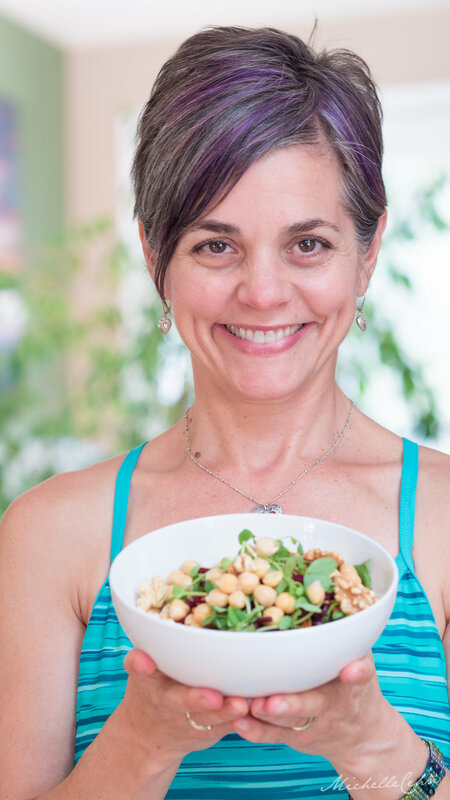 A health and wellness coach certified in plant-based nutrition from Cornell University, and a Black Belt Nia Instructor, she empowers women to value self-care, love their bodies, and to joyfully recreate themselves in the kitchen and in life. Allison has been featured in The Wall Street Journal, Vegetarian Times, The San Francisco Chronicle, Bust Magazine, Condé Naste Traveler, VegNews, MaryJane's Farm, and KIWI Magazine. She has been a guest on Our Hen House, All Things Vegan Radio, Progressive Radio Network, Vegcast, and Life Legacy Project. You can find her work online at Kris Carr, The Kind Life, Ecorazzi, Yogi Times, and One Green Planet.